In 1909 Willie Stith designed the original nine holes. By 1927 it was evident that a redesign was needed and legendary Indiana course designer Bill Diddle was entrusted with the project. By the 1950’s the growing membership decided to bring Mr. Diddle and their Superintendent Clarence Lamboley together and update the design once again. The current layout, completed in 1959, has stood the test of time and has made Meshingomesia one of the “hidden gems” in the state of Indiana. With four (4) sets of tees ranging from 5053 yards to 6445 yards Meshingomesia accommodates all player skill levels. Beginners and advanced players will enjoy and be challenged every time they play the par 72 Meshingomesia golf course. The pristine fairways of rolling Indiana hills are lined with mature and majestic trees to create the perfect golf setting. The smooth and quick undulating greens give you a sense of what it is like to play on a championship golf course. One of the best features of Meshingomesia Golf Club’s classic design is that the course gives you a different feeling every time you play. Are you ready for a challenge? Visit us today at Meshingomesia Golf and Social Club. Which type of Season Pass are you interested in? Select all that apply. A membership includes preferred tee times as well as Member Only designated hours/events and discounted room rental rates. Locker rooms and driving range will be strictly for member use only. If member opts out of May 5th payment rate, memberships must be paid in full by August 1st, 2019. Payment plans available. Looking for Equipment or Apparel? If golf equipment is what you seek. The look no further than Meshingomesia Golf & Social Club. We can answer all of your equipment questions as well as guide you into the best fit for your game. If you don't see it in our shop we can special order it for you! 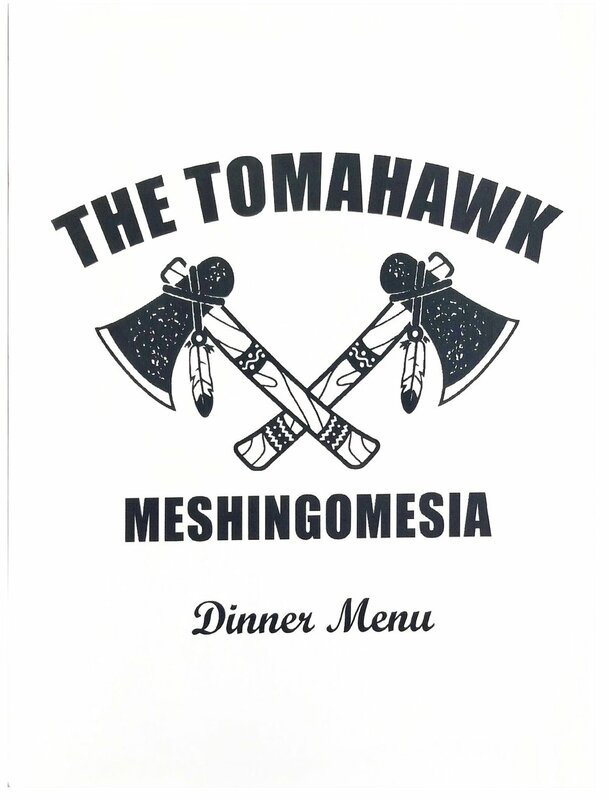 The Tomahawk at Meshingomesia is high-end dining for everything from your work meetings to your family dinner! The Tomahawk sits inside the historic Clubhouse. Through any window in the Clubhouse, you can look out over the rolling Indiana hills on the par 72 golf course. 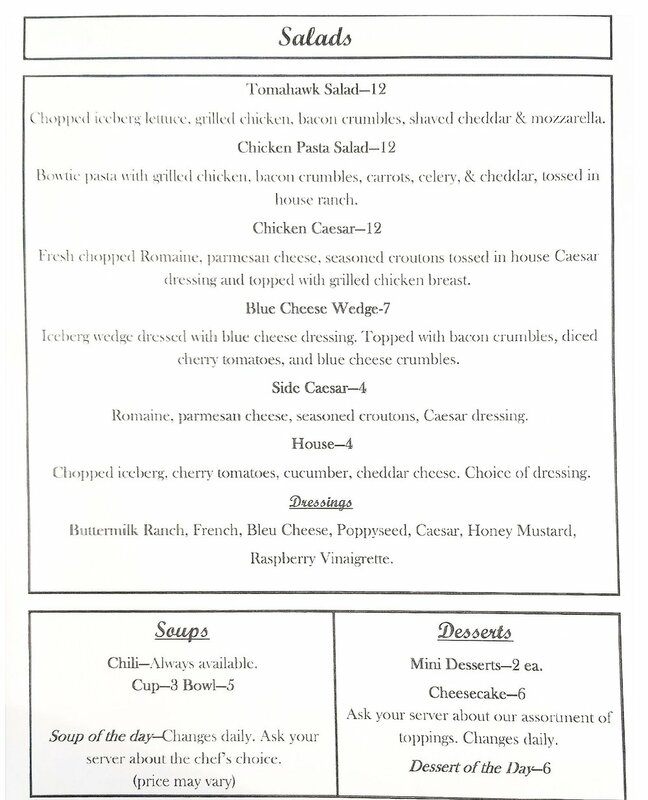 The Tomahawk at Meshingomesia provides casual lunches on a Wednesday, rehearsal dinners, wedding receptions, holiday parties, and so, so much more. Our wedding planners will assist you every step of the way. 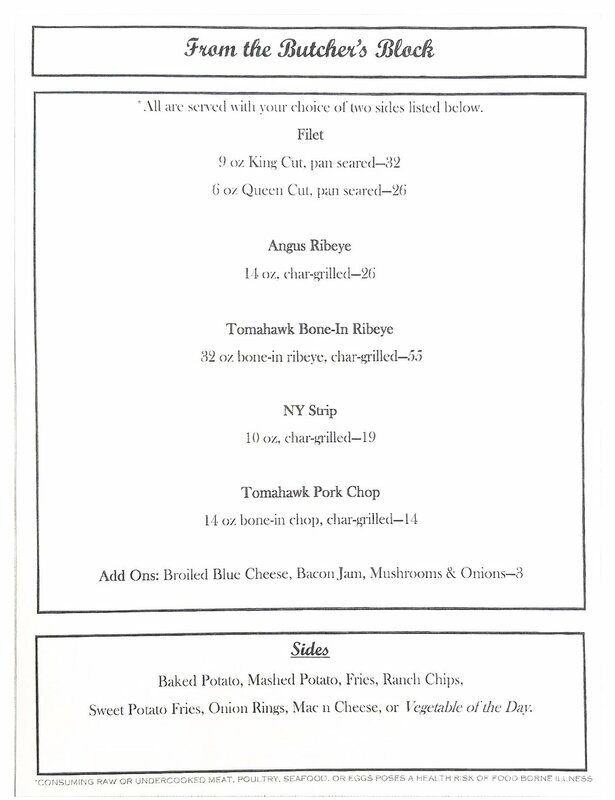 And our chef team will help you get your dinner the exact way you want it. And, all of us on staff, will make sure your event comes together just as you dreamt it would. Meshingomesia Golf & Social Club is the perfect destination for your special event. 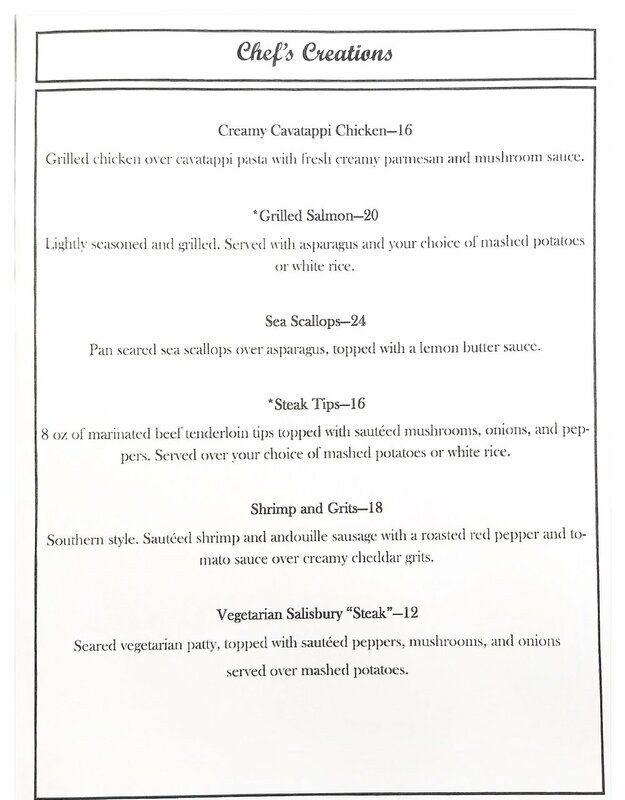 Whether you’re hosting a wedding reception for 350 friends and family or you’re hosting a small business luncheon for clients, Meshingomesia is the place to be. With numerous breath-taking photo opportunities on our hilly grounds, you will be able to create many lifelong memories. Our banquet room, rooftop deck, and adjoining relaxed dining room that overlooks the picturesque 18th hole provides spectacular backdrops for your photo album. A great event is the result of many carefully considered details. Your vision will become a reality as our talented event coordinators and culinary team bring to life the event of your dreams. The Tomahawk at Meshingomesia provides an elegant, yet affordable destination for whatever your event needs are. Our beautiful ballroom can be dressed to create the fairytale wedding or professional convention that you are looking for. With its large space and options in tables, linens, and decorations; we are here to accommodate your every need. The Tomahawk at Meshingomesia has honored its 100-year history by beautifully restoring the building while staying up to date with the needs of the modern bride and groom. We are conveniently located between Fort Wayne and Indianapolis and are within 30 miles of Muncie, Wabash, and Huntington.